Pep Guardiola doesn’t know whether Gabriel Jesus will play again for Manchester City this season. 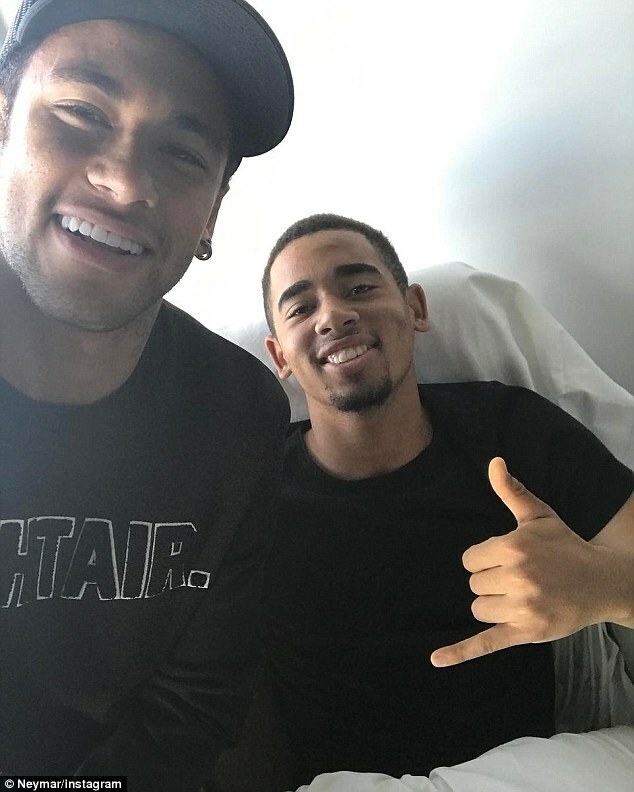 The teenager underwent a successful operation on his fractured metatarsal in Barcelona on Thursday night after visiting Guardiola’s favoured Dr Ramon Cugat. 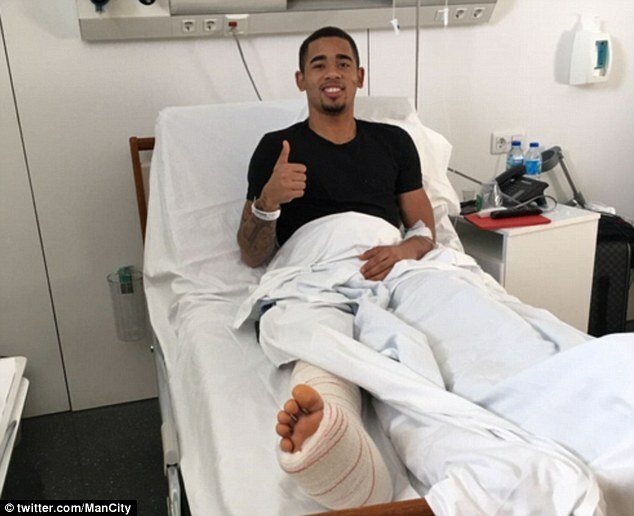 Jesus is likely to be missing between eight to 12 weeks – starting in the FA Cup against Huddersfield on Saturday afternoon – and is expected to return to Brazil to form part of his recovery. 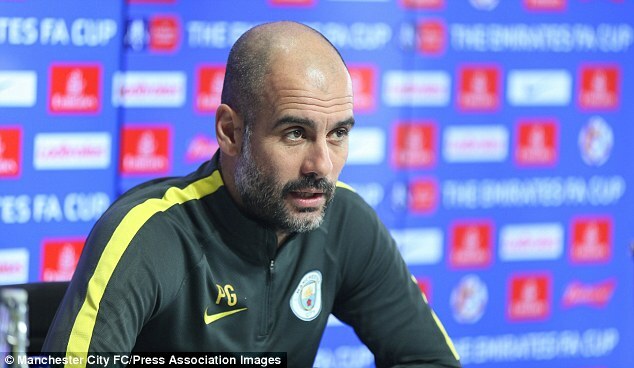 ‘I don’t know,’ Guardiola said when asked if Jesus would be back before the end of the campaign. ‘He’ll be back when he’s fit. I don’t know if that’s the end of the season or next season. ‘People say between two and three months. Last night he had an operation and it was really good. Sergio Aguero now becomes City’s frontline striker again after a spell watching from the bench. Guardiola reiterated there remains no problem between himself or Aguero and backed the Argentine to continue scoring goals. ‘Sergio has to do what he’s done all his career – nothing more,’ Guardiola added. ‘Every player has his own quality. He has to show it. ‘I’m not asking when Gabriel played the last three games ‘you have to do what Sergio does’ and not to Sergio ‘you have to do what Gabriel did’. Just go there and play as best as possible. ‘They both have their own qualities. With both we are a stronger team and now I have an unlucky situation with Gabriel like we have with (Ilkay) Gundogan. ‘From the beginning, he was playing always more than good. Not just Sergio, but it’s not easy for the players who don’t play. ‘Those who are out for a long time, like Kelechi (Iheanacho). They are more than professional. ‘Sergio too, he was in the team and showed us at Bournemouth after the injury – he came in and did well and scored a goal.